What’s the harm in using natural Homemade masks or skin treatments? Well potentially a lot! Using ingredients that are typically found in the cupboard may seem harmless – but if these miracle masks worked wouldn’t everybody be doing it? 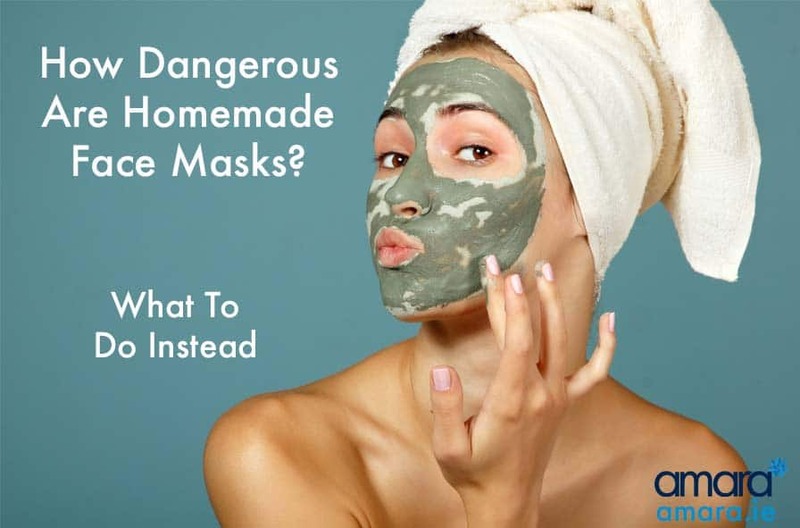 Whats the danger with homemade masks? These charcoal masks are the rage with Beauty bloggers at the moment. Made using charcoal capsules and horror of all horrors – actual glue. Charcoal is great for the body – it works to remove toxins and impurities if taken as vitamin and also shows improvement for bloating. Most recently it has been claimed a hero for teeth whitening (ask your dentist). However putting ingredients like glue on your face (non toxic or not) can cause extreme damage to the skin. When these strips are pulled off the skin (If they come off) the extractions you see are actually hairs ripped from your pore along with some debris. These actually open your pores and leave them open to infection. Typically in these homemade videos there is no after care to close the pores which leads them open to bacteria leading to spots and acne. Though charcoal can be beneficial mixing it with other ingredients completely ruins it! Pore strips in general are not good for the skin whether they are homemade or bought. Like homemade peel off masks they can give a cinderella effect of leaving your pores looking smaller or tighter. The ‘Blackheads’ that are left on the strip are actually just dots of oil that have turned black from the air other than that is just the top layer of dead skin that would have easily come off with exfoliating. Anything that has been removed from your skin will have no affect on blackheads and is likely to cause more. Are All Home Remedies Bad For You? Many ingredients such as coconut oil which is hailed as a hero from everything to bloating to grey hair – when added to your face can actually cause damage. Though not everything is bad for you – some ingredients can help with inflammation- let’s take a look at the most common beliefs! 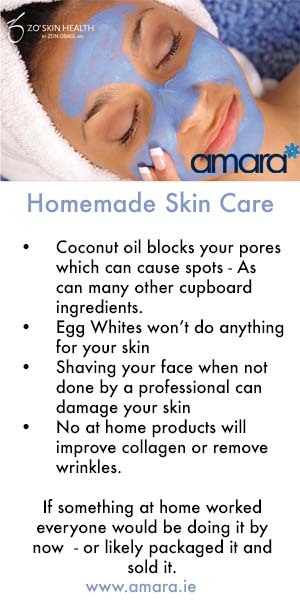 Coconut oil blocks your pores which can cause spots – As can many other cupboard ingredients. No at home products will improve collagen or remove wrinkles. If something at home worked everyone would be doing it by now – or likely packaged it and sold it. What Should I Do Instead?! Remember – scientific names are not all bad it’s up to you to research them, many scientific names are actually derived from natural source are in higher concentrates. – Salicylic Acid is Aspirin which was originally taken from trees. If you are serious about your skin health the best thing to do is see a skin health specialist who can guide you with all of your concerns and products. In clinic treatments are also an excellent way to help you skin with issues such as acne, collagen renewal, fine lines and deep cleaning. The HydraFacial MD is the perfect treatment for the majority of skin types as it is fully customisable. The Perk add on also gives you the option of adding on a boost to the eyes and lips that you can then continue at home! Many people like doing at home treatments to give their skin a boost along with their products and also just to give themselves a little pamper! A perfect product to get pampered (with results) is the ZO Skin Health Sulfur Masque . Particularly great for the summer and taking on holidays this masque works for acne, inflammation, Rosacea and can also help with dermatitis. Use it as a full masque weekly to improve impurities or use it as an overnight spot treatment. This is the perfect product to have on hand for a huge variety of concerns – depending on your needs this can be used multiples times a week and can help prevent hormonal acne! Are you ready for real results? Book in for full skin analysis with our Skin Health Specialist now!